Do you want to know more about Electric Vehicles and Plug-In Hybrid Electric Vehicles? Are you finding the technical terms associated with Electric Vehicles and Plug-In Hybrid Electric Vehicles confusing? wattEV2buy is the best place to start your journey into the future with Electric Vehicles. Lithium-Ion Batteries is a low maintenance battery with no memory which does not need full discharging and has a slow self-discharge rate. LIB’s are now widely used as the preferred battery technology for Electric Vehicles and can consist of various chemistries and will differ from manufacturer to manufacturer and from application to application. Performance, cost and safety characteristics vary across LIB types. Battery Cell manufacturers aim to improve the power density which will bring down battery cost for future EV’s. A battery’s ability to store electricity is expressed as Energy Density, the table below shows how improvements in battery technology have resulted in improved energy densities resulting in longer range EVs. 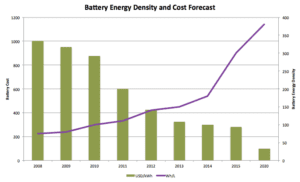 While energy density is continuously improving the price of batteries is also on a downward spiral. LiCoO2 = Lithium Cobalt Oxide – mostly used for handheld electronics offers higher energy density but present a safety risk, especially when damaged. Li-Poly/ Li-Pol/ LiPo = Lithium Polymer. Lithium Titanate Oxide = provides rapid charge times and extended battery life, up to 2.5x of normal lithium-ion batteries. It also provides stable discharge from extremely cold (-30 °C) to high temperatures above 40 °C. Such batteries are also widely used for electric tools, medical equipment, and other roles. NMC, in particular, is a leading contender for automotive applications. Tesla’s 2170 batteries for vehicles are made using Nickel Cobalt Aluminum Oxide (NCA), as opposed to the 2170 battery cells that power the company’s stationary energy storage products, which utilize Nickel Manganese Cobalt Oxide (NMC). Lithium Sulfur Batteries, a newer chemistry compound promise the highest performance to weight ratio. Huge investment in battery technology is continuously delivering better solutions, companies such as BMW and Tesla are now pursuing Sold State batteries which could be fully charged in a matter of minutes and provide much more storage capacity. Pb-Acid = Lead-Acid. A much cheaper battery used in older electric cars provides much lower energy density than LIB’s, therefore, requiring more frequent charging, providing less power output and a shorter service life. NiCd Battery (NiCad) = Nickel Cadmium. NiMH Battery = Nickel-Metal Hydride, used in some older electric vehicles, offering better energy density than lead acid but less than LIB’s. Most manufacturers now provide an 8 year 100,000 miles / 150,000km warranty on their LIB’s. Modern LIB’s, however, should reach an 80% efficiency after ten years, meaning they will still be usable – replacement is, therefore, a choice, not a necessity. Should you wish to replace your car’s battery, it’s possible they will potentially have value as a “Second Life” battery used in Battery Home Systems with or without Solar. Some manufacturers such as Tesla, BMW, and Nissan already are developing businesses for their “Second Life” batteries. Batteries consist of cells wich are combined into battery modules to form a battery pack which is normally placed at the center of the vehicle giving EV’s their characteristic road holding ability. Ampere Hours (Ah) is a unit expressing the capacity of a battery or cell and can also be measured in mAh (milli-Amps x hours). Nominal Rating – Is the content of the battery expressed in Ah as designated by the battery manufacturer and is the content made available for use in the vehicle and would be the value mostly provided in marketing material. The Capacity differs from Nominal Rating in that it is the actual content of the battery but would usually not be available to the vehicle. The State of Charge (SOC) is the indication of how full or empty the battery is with 0% being empty and 100% full. The ideal for Lithium-Ion batteries is never to be at 0% or excessively at 100%. The Depth of Discharge (DOD) is an alternative to the SOC and expressed conversely either as 0% or x Ah (amp hour) being full and 100% or 0 Ah being empty. The Rate of Discharge – The capacity of a battery is rated at 1C, A fully charged battery rated at 1Ah should provide 1A for one hour. The same battery discharging at 0.5C should provide 500mA for two hours, and at 2C it delivers 2A for 30 minutes. LIB’s are highly efficient but not 100% effective. Efficiency can also be expressed as the Roundtrip Efficiency of the battery. Since LIB’s are not a 100% energy efficient technology you would require more energy (kWh) into the battery than the battery capacity to charge it fully and vice versa you would get less energy (kWh) from the battery than the energy that is depleted from the battery. Good LIB’s offer a roundtrip efficiency of around 92% and older LIB’s around 70% to 80%. Fuel Cell Electric Vehicles (FCEV’s) on the other hand has a much lower efficiency of around 60% to 70%. 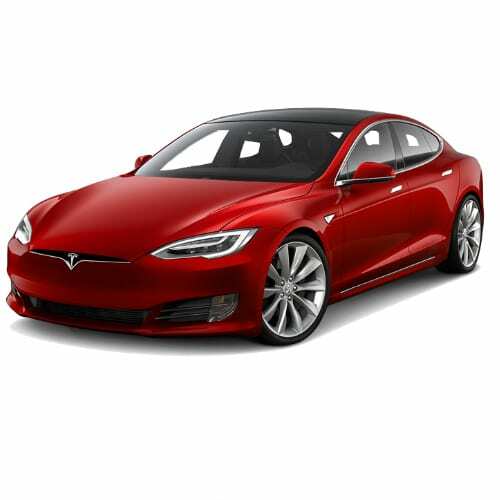 Battery Electric Vehicle, Electric Vehicle, EV or Pure Electric are the terms used for fully electric vehicles, such as the Tesla Model S. An Electric Vehicle is any vehicle that uses an electric motor for propulsion. Electric Vehicles qualify as a ZEV (zero-emission vehicle) which do not produce pollutants out of its tailpipe. ZEV’s include electric cars and fuel-cell vehicles. To increase the adoption of BEV’s to reduce emissions governments sometimes offer sales incentives and other waivers such as carpool lane permits. Horsepower rates the engine performance of a car and is mathematically defined as the power needed to move 550 pounds 1 feet in 1 second. Brake Horsepower (BHP) is the actual power output from a motor before any natural losses in power through components such as the transmission system. Charging a Plug-In depends on the size of the battery in kWh and the amount of electric current. Various EV’s can take different levels of charge, and buyers should make themselves aware of the particular model’s ability. Charging happens at a Charging Point, which can be at home, at work or in publicly accessible locations. 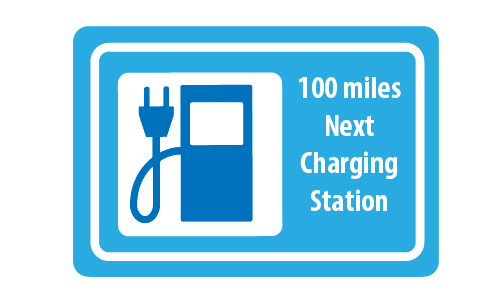 Level 1 Charging – Charging a Plug-In at a typical wall socket. In the U.S. this is typically a 120-volt (nominal) outlet and in Europe at a quicker 220-volt. Level 2 Charging or Fast Charging from a 240-volt outlet and at higher Amperage (current)– than Level 1 (about 6.3kW as opposed to 3.3kW). Amperage current makes a difference in charge time. Smaller EVs like the Leaf might take 30 amps or so. Tesla’s high-power wall charger delivers a nominal 80 amps at 240 volts, charging an electric vehicle in around 3 to 4 hours, depending on the battery size. Level 2 Charging would be done through a dedicated charging point at home which is normally purchased as an add-on option with the vehicle and called a Home Charging Unit or a Charging Station. 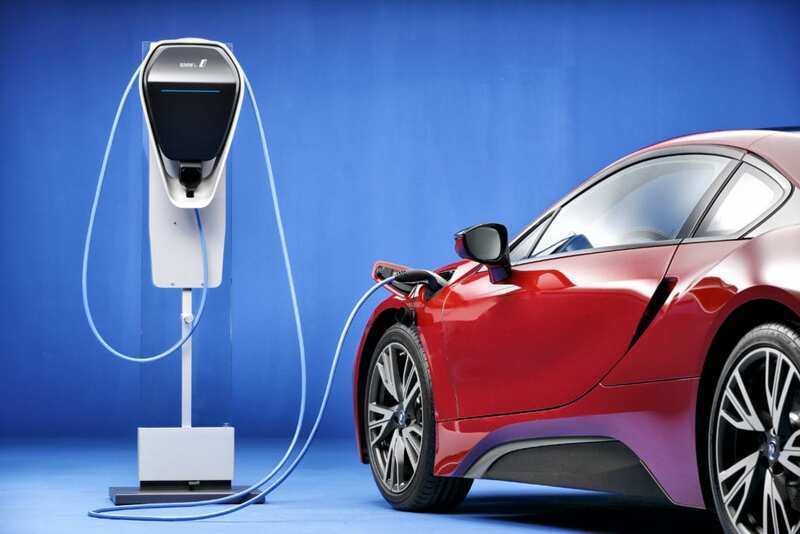 Level 3 Charging or Rapid Charging occurs only at Fast Charging Stations deployed on a Fast Charging Network and employs a 20-50kW current, allowing an 80% charge of a typical electric car in around 20-30 minutes. Regular Rapid Charging, especially to 100% is not good for the long-term life of the battery but does offer the chance to top up on the occasional longer journey. Fast Charging Stations can be Level 2 or Level 3 and are normally provided by third parties which charge a fee or by a particular auto manufacturer to support the adoption of EV’s and their brand in particular, such as Tesla’s Supercharger network. Charging technology is also improving by the year allowing for more rapid charging. Tesla‘s Supercharger Network currently charge at 120kW per car with the next generation expected to be more than 350kW, bringing downtime needed rapidly. Fast Charging packages could be added as an optional add-on to the purchase of a vehicle. Please, not make sure the vehicle you buy can accept rapid charging. Improvements in the energy density of battery cells will also give you more bang for your buck, providing longer run time between charges. Thus, the result is that with less battery you can get the same result, allowing vehicle manufacturers to either make vehicles cheaper with less space taken by the batteries or keep the volume size of batteries the same but gain capacity. Extended Range Electric Vehicle (EREV) is an Electric Vehicle with mainly an electric motor for propulsion and a smallish internal combustion engine, providing power as a generator to maintain the minimum charge level on the battery. While the fuel tank remains topped up the EREV has unlimited range, so essentially the EREV is a Plug-in Hybrid Vehicle with a smaller combustion engine. The BMW i3REx is an EREV. There are various driving cycles to compare cars, the most commonly used are NEDC in Europe, EPA for the USA, WLTP, which is the Global Harmonized and the Japanese JC08 test. A driving cycle is a series of data points produced to assess the performance of vehicles in various ways, for instance on fuel consumption or emissions. Some driving cycles are derived theoretically, such as the NEDC and others such as the American EPA are derived from direct measurements. Theoretical derivations, such NEDC are criticized for delivering unachievable figures. Fuel Cell Vehicle (FCV) or Fuel Cell Electric Vehicle (FCEV) uses a fuel cell in conjunction with a battery rather than an engine to power its electric motor. Fuel Cells are powered using oxygen from air and compressed hydrogen. Fuel Cell Vehicles are less efficient than Battery Electric Vehicles or Plug-in Hybrids. Critics to FCEV technology say that it is an unstable, dangerous source of energy, burning an invisible blue flame. Proponents of the technology say its better than using batteries in that it does not need hours of charging, as it could be compared to fueling at a filling station. There are only around 100 Hydrogen Fueling stations in the world. It is expected that the technology will reach commercial viability only in 2025. Toyota is the most famous backer of the technology and the company has forgone any development in full Battery Electric Vehicles in favor of FCEV’s. Toyota has launched the Toyota Mirai in 2014. Other companies exploring FCEV are Honda, which brought the Honda FCX Clarity to market also in 2014 but discontinued it. Mercedes have also expressed an interest in this technology. A Hybrid Vehicle integrates a small battery (around 1.5kWh capacity) and an electric motor to enhance the efficiency of a combustion engine. The battery is charged by the combustion engine, it does not use a Plug-In charger. Hybrids vehicles offer greater fuel economy than a normal combustion engine. Hybrids can only travel very short distances on electric power only. Plug-in Hybrid Electric Vehicle is a Plug-In vehicle configured like a Hybrid but with a larger battery pack which is charged from an external charging point. The larger battery offers an increased range in pure electric mode before the combustion engine is required, offering the driver the opportunity to either do short trips in pure electric mode and extended driving in hybrid mode. Hybrid’s and PHEV’s are Partial Zero-Emissions Vehicle’s (PZEV) which is defined as having some sort of technology, such as an electric motor, that allows the vehicle to travel at least some of the time without emitting emissions. 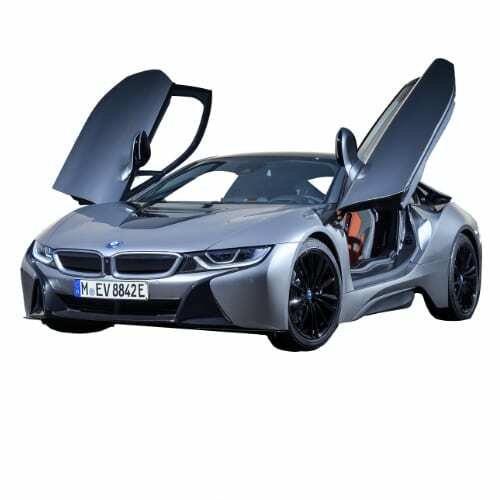 The BMW i8 is a PHEV. Internal Combustion Engine (ICE) is an engine powered by burning fossil fuel, whether petrol or diesel or any other flammable source. de-ICE refers to the conversion of and ICE vehicle to a Plug-In Hybrid, more commonly referred to in this context as a NICE vehicle. A couple of solutions are found online as aftermarket solutions. Government and State incentives are used to encourage buyers to choose a Plug-in Electric Vehicle as a means of combatting greenhouse gas emissions. Purchase price incentives, tax rebates or vehicle registration incentives are most common. Other incentives for EVs can include exemptions and waivers from parking fees, road taxes, low company car tax, exemption from city emissions and congestion charges and access to bus lines or city centers. wattEV2buy provides country-specific incentives in its global sales section. Kilowatt-hour (kWh) is the measurement of a unit of energy equivalent to the energy transferred in one hour by one kilowatt of power. In Electric vehicles the battery size is measured in kilowatt-hours and the electricity used to charge the battery is billed in kWh’s, making it comparable to a combustion vehicle (ICE’s) fuel tank. The cost per mile is not normally provided on the sticker data provided by dealerships. wattEV2Buy provides a handy tool to compare the various Plug-In vehicles cost per mile or kilometer making it comparable in the class and with combustion vehicles. Time of Use (TOU) tariffs is used by certain utility companies, whereby the rate charged for electricity is determined by the demand curve. Clever Plug-In Vehicle owners can set their vehicles to charge when the TOU tariff is low, normally in the off-peak early morning hours. 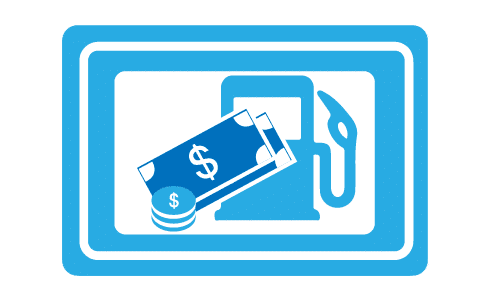 Miles Per Gallon Equivalent (MPGe) is a term used by the USA’s Environmental Protection Agency (EPA) economy window sticker to convert the power used by Electric Vehicle into a term that is comparable to combustion vehicles. 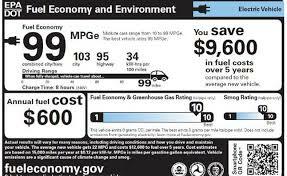 The miles per gallon gasoline equivalent is based on the energy content of gasoline. The energy content of a gallon of gasoline is assumed to be 114,989.12 BTU or 33.7 kWh. MSRP Manufacturers Suggested Selling Price or retail price is the price including options as it sits on the dealership floor. Base price is the price tag without options. Explaining the distinction between Electric Cars and Electric Vehicles. There are a variety of Electric Vehicles. An “Electric Car” generally refer to a Highway Capable Vehicle, powered by electricity. Low-speed Electric Vehicles classified as Neighborhood Electric Vehicles (NEV) in the USA and Motorised Quadricycles in Europe are mini or city cars. These vehicles are classified through limitations on weight, top speed, and power. The Renault Twizy, Tazzari Zero EM1, and Reva G-Wiz are examples of such vehicles. Some manufacturers in the USA such as Elio Motors are aiming to introduce 3 wheeled vehicles but there are some challenges as the National Highway Traffic Safety Administration is proposing changes that could exclude three-wheeled vehicles configured like passenger cars. Regenerative Braking or Regen can be compared to engine braking in a combustion powered vehicle. It is an energy recovery system used in most Electric Vehicles that can help charge the battery while the car is slowing down and is a common feature in most Electrified Vehicles. The electric motor acts as the generator, so power can flow both ways between it and the battery. Regenerative Braking extends the range of the vehicle and is most valuable in rush hour traffic environments. The Range or All-Electric Range (AER) is the distance an Electric Vehicle or Plug-In Hybrid Electric Vehicle can travel on electricity only before it requires to be charged. Range Anxiety describes the fear of running out of battery before you are able to reach a charge point. As you become accustomed to your Plug-In vehicle you will become more comfortable and your Range Anxiety will recede. High torque at zero revolutions is made possible by a three-phase system on an AC motor. In the AC electric motor of an Electric Vehicle, three-phase current is used instead of single phase. Three-phase power generates a rotating magnetic field from zero Revolutions Per Minute (RPM) and is normally150% more efficient in the same power range as a single phase motor. The American Environmental Protection Agency (EPA) devised a measurement, called a utility factor to compare how different PHEV’s are used. The utility factor is a projection of the share of miles that will be driven using electricity by an average driver in full electric or blended modes for PHEV’s. The Toyota Prius, for instance, has a utility factor of only 29%, while the Chevy Volt has a utility factor of 66%. 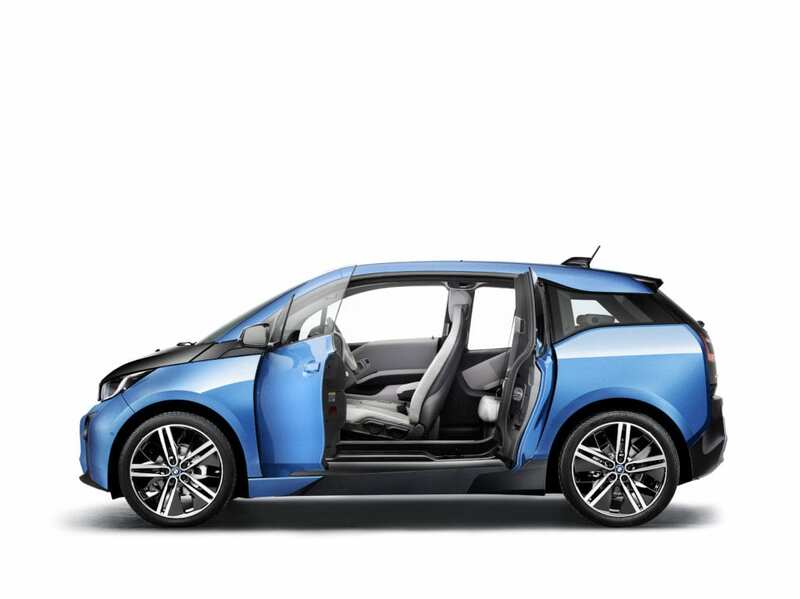 The BMW i3 REx has a utility factor of 83%, supporting my experience. Vehicle-to-Grid (V2G) is the transfer of electricity from the battery of an Electric Vehicle back into the Grid while plugged in. V2G allows Plug-In vehicles to be part of the Smart Grid acting as a Demand Response Asset. Through V2G an EV owner can generate income from his vehicles battery. The technology is in the early stages of development as challenges around the loss of autonomy which could lead to adding to range anxiety and how to price for the use of battery capacity need to be overcome. The advantage is that V2G will balance the Grid in periods of high demand, alleviating the risk of power cuts or providing backup power to one’s own house. The financial viability would depend on the kWh Feed-In Tariff (FiT) that the vehicle owner would receive from his electricity Utility provider for the energy from the battery. Vehicle-to-Home (V2H) capable electric vehicles such as the Mitsubishi Outlander PHEV can power your house from the car battery. Vehicle-to-Vehicle (V2V) does not relate to power like V2G and V2H above only, it can relate to communication between vehicles and is associated with autonomous or self-driving cars. V2V is used to warn drivers of the potential of danger from other cars. V2V in a power sense is exactly what it says, the EV can charge another EV. Well-to-Wheel refers to the measurement of CO2 emissions of a car, taking into account the production of the fuel or electricity. This is a fair analysis and represents an “all-in cost” of the impact on the environment of electric vehicles. Zero emissions measurement only applies at point of use and excludes the environmental impact earlier in the chain where the electricity is produced to charge the vehicle. For a fair comparison with a combustion (ICE) vehicle, W2W also factors in the drilling of the oil, refining and transportation along with tailpipe emissions. On average, an Electric Vehicle will produce 80g/km of CO2 compared with 147-161g/km for an ICE. Following on our story above many news reports the past week referred to the supply of commodities for EV batteries such as lithium, nickel, manganese, graphite, and cobalt which seems to confirm the notion that EV sales are set to take off. Prices for the commodities have skyrocketed the last couple of years despite the fact that the amounts required of these commodities per cell are so small that price impact on the total cost of the battery is limited. Current cobalt prices have more than doubled in on a year to year basis from February 2017, trading above $80,000 per ton on the LME. According to Reuters, BASF the German chemicals giant has entered talks over a supply partnership for high-grade Nickel used in long-range batteries with Russian miner Norilsk Nickel and BASF competitor, Belgium’s Umicore raised 892 million euros to expand its business. Umicore CEO CEO Marc Grynberg said that recycling would be crucial as mining won’t be enough to meet the world’s needs should EV demand continue at the current pace beyond 2025. Bloomberg Quint reported that Samsung SDI is to purchase equity in an unnamed company which posses a recycling technology to extract cobalt from used cell phone batteries. Samsung can recycle 157 tons of cobalt and other minerals from the doomed Galaxy Note 7 smartphone while the commodity analysts CRU Group projects that 25,000 metric tons of minerals will be extracted from used batteries by 2025. Companies are also pivoting towards developing batteries which require less cobalt such as nickel-cobalt-manganese batteries which consist of 88% nickel to be less reliant on cobalt of which more than 50% comes from the unstable Democratic Republic of Congo (DRC). The DRC recently passed a new mining code through the country’s National Assembly to grab more profits from the mining of cobalt and copper. The new code puts royalties of 5% on “strategic metals” which include cobalt, allow a larger shareholding by the State in mining companies and repatriates of at least 40% of the revenue of minerals that are sold for export. Technology advances will also change the landscape in the coming years as manufacturers aim to bring down costs of EVs to compete with low cast manufacturers such as China. A research article in ScienceMag explained how desalination using metal organic framework (MOF) membranes separates lithium from salt water as a by-product. Panasonic showcased mockups of a platform for EV bikes and micro-cars it developed at its booth at the CES 2018. The platform which offers an energy-efficient, a safe powertrain that features integrated compactness, high efficiency and flexible scalability includes a power unit (with an onboard charger, junction box, inverter and DC-to-DC converter) and a motor unit. Automotive News reported on Toyota’s Fine Comfort Ride concept first introduced at the Tokyo Auto Show earlier this month. According to the Japanese carmakers Chief Engineer, Takao Sato. The plastic-aluminum hub encircled by a rubber band could potentially shave off 30% (11 pounds) from a tire’s weight by 2025 on electric and hydrogen fuel-cell vehicles. Airless tires by Michelin and Bridgestone is already available in golf-carts, lawnmowers and construction equipment. Pricing is not expected to be the prohibitive factor as costs already compare with current tires. Overcoming rolling resistance (friction) is the biggest hurdle the company is expected to cross. The plastic-aluminum tires have a friction deficit of between 10 and 20% compared to existing pneumatic tires which is unacceptable for the drivetrain platforms needing every extra mile out of the power source such as EVs. The Californian based lithium-Ion battery company Enevate Corporation, founded in 2005 at the University of California this week announced its HD-Energy battery technology. The new technology allows for extreme fast charging of 240 miles in only five minutes, that is 50 miles in 60 seconds. The NCM based lithium batteries have an energy density of 750 Wh/L. Enevate’s HD-Energy technology can safely operate in -40°C, capture more energy during regenerative braking allowing for longer ranges in cold climates. The HD-Energy technology is resistant to lithium plating in fast charging and low-temperature environments, a challenge for conventional graphite lithium batteries. The Swiss industrial giant, ABB announced this week that it would collaborate with Northvolt, a Swedish based company on building the largest Lithium-Ion battery factory in Europe. The battery factory will be located in Sweden and start operations in 2020. Northvolt CEO, Peter Carlson was quoted saying – “The world is moving quickly towards electrification. We want to enable this transition by building the largest, cutting-edge lithium-ion battery factory on the European continent and producing the world’s greenest batteries. ABB is at the forefront of the electrification, and we are delighted to have them onboard as a strategic partner, key supplier, and investor”. A demonstration line will be ready by 2019 at the plant. The project joins a list of other similar projects around the world to meet the increased demand for electric vehicles. World-leading research and education group, WMG, the University of Warwick, and design company Astheimer unveiled a lightweight prototype delivery vehicle, the DELIVER-E this week. According to a press release by Warwick University advanced battery experts, at WMG fitted the vehicle with a powerful 48V 6.5kWh battery system, increasing its peak power from 12 kilowatts to 36 kilowatt – helping it to cope with an increased weight of goods, and to conserve energy despite the start-stop nature of deliveries. DELIVER-E will be showcased as a demonstrator, at a number of events through the year. WMG and collaborative partners will also use it when undertaking research around electric vehicles. The scientific journal, Nature Communications, this week published a paper on a breakthrough in Magnesium rechargeable batteries, delivering an energy density of 400 mAh/g. According to the paper magnesium, an abundant metal, have the potential to offer high-energy density, safety, and low cost. Researchers found a way to overcome a stumbling block in the technology by altering the design a magnesium battery cathode. As the rush to EVs starts to accelerate auto part companies are investing more and more in the development of new technologies, helping to advance electric vehicles. The Korean auto part company, Hyundai Mobis, this week announced that its the first South Korean company to develop a bi-directional on-board charger (OBC) for vehicle-to-grid (V2G) applications. Industry commentators have been quick to claim EVs V2G capability as a key attribute of the technology, but to date, no production vehicle comes equipped with the application as a standard feature. A contributing factor for the slow adoption of V2G technology is the slow development of software to optimise the charging / depleting of batteries so that drivers are not left stranded due to supplying the grid with power. A new division between wheel and axle: Continental presents the New Wheel Concept, which optimizes the braking system specifically of the electric vehicle (EV). The design enables the use of a large aluminum brake disk and solves the problem of bad braking performance due to corroded brake disks. The dual New Wheel Concept also reduces the weight of the wheel and brake and reduces service costs due to a lifetime brake disk and an easy brake pad change. German Chancellor Angela Merkel this week reaffirmed her commitment to having 1 million EVs on the country’s road by 2020. In an interview with German YouTuber Lisa Sophie, Merkel reportedly said that the country has not abandoned its commitment to its one million EV goal by 2020 but that not enough was done up to now, signaling a possible ramp-up of the country’s efforts in the next two years. Merkel did not accept all of the blame for the slow pace but laid some of the responsibility on automakers which she doubts were sufficiently innovative enough to progress the technology. A Reuters report lifted the veil on Toyota’s electric vehicle plans further this week. The Reuters report claims the Japanese automaker is developing a new electric vehicle platform, based on solid-state battery technology to enter the market in 2022. The advantage of solid state battery technology is that it addresses range and charging shortcomings of current lithium technology. A solid-state battery can be charged in only a couple of minutes and has more storage capacity for longer range. Toyota, which has been lagging in the EV race is set to enter the EV market in China from 2019 with a mass market SUV based on the C-HR SUV. The C-HR EV will be developed using current lithium technology. 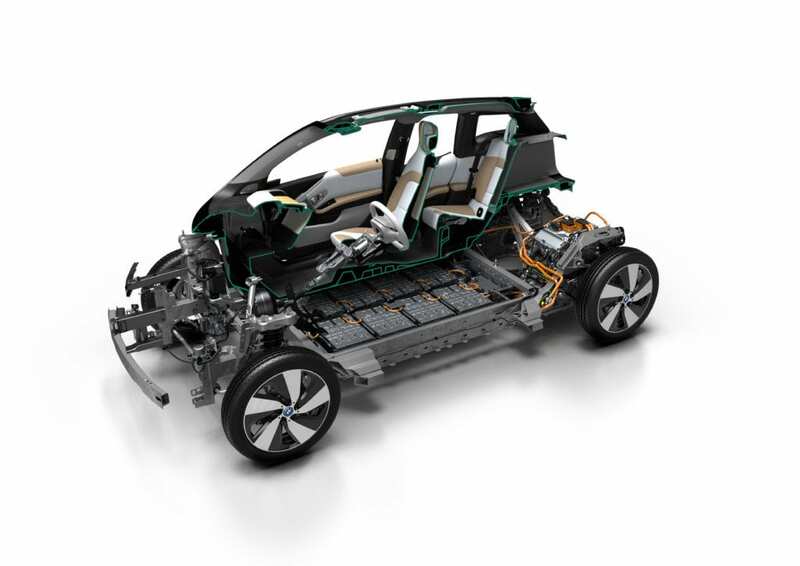 Other automakers pursuing solid-state batteries includes BMW who has set a 10-year plan to bring solid-state EVs to market. Research firm Bloomberg New Energy Finance (BNEF) this week reported that it expects EVs to reach price parity with internal combustion vehicles (ICE) in the USA and Europe by 2025. Falling battery prices driving down cost is seen as the main reason behind the conclusion. Currently, battery prices constitute around 50% of an EVs cost, by 2020 BNEF forecast batteries to only constitute between 23% and 16% of an electric car’s total cost by 2030. The report did not compare the total cost of ownership, which is expected to favor EVs this decade already. It is unclear if the study did take into consideration regional factors such as the EU adding as much as $340 per engine on diesel engines from 2020, which should increase the cost of combustion engines. The California Department of Motor Vehicles released it’s 2016 Autonomous Vehicle Disengagement report this week. We reported earlier that a total of 20 companies were authorized to test the autonomous technology on the State’s public roads by the end of 2016. The Disengagement report reflects the number of events where a driver essentially has to take over from the vehicle’s autonomous mode to either prevent a traffic incident or where it fails. Alphabet’s autonomous vehicle program moved from Google to a stand-alone company Waymo, revealed its 2016 scoring in a blog post by it’s Head of self-driving technology. Waymo showed a marked improvement from its 2015 safety related disengages of 0.8 (341) disengages per 1000 miles to 0.2 (124) in 2016. A report just released by the Californian Air Resouces Board indicated that advancement in electric vehicle technology is happening at a much faster pace than anticipated five years back. The report highlights the efforts by Tesla and Chevrolet to bring affordable and long-range vehicles to the market. The report found expanding charging networks, advancements in battery performance, decreasing cell costs, and the number of models available to the consumer as factors for the improved results. On the other hand, the Board states that not all automakers attack the challenges with the same vigor, with Honda and Fiat Chrysler named as company’s that just do the bare minimum to comply with regulations. We predict this will reflect in the various companies share prices five years from now when the next report takes the pulse of the sector. An electric vehicle finished the grueling Dakar Rally in South America for the first time this week. The Acciona 100% EcoPowered rally car finished the 5,600 miles after the third attempt at the title. The team sponsored by Acciona, a Spanish Renewable Developer, has spent five years fine-tuning the vehicle which includes a 100-watt solar panel and Tesla battery pack. The Acciona 100% EcoPowered has a 200 km (125 miles) range in race conditions powering a 250kW electric motor providing 800nm of torque. The vehicle achieves a top speed of 150km/h (94mph). Looking to develop your own electric vehicle? Yes, you can, with Italian OSVehicle’s modular platform providing an open source hardware platform from as little as $12,000. Add to that George Hotz’s self-driving car kit which he plans to market through his company comma.ai at a price of $1,000, and you can build your own “ai-chauffeur” driven zero-emission vehicle. The ability to use open source technology will lower the barriers to entry for entrepreneurs and hobbyists alike, providing further disruption to the auto industry. The USA Department of Transportation this week announced the formation of an Automation Committee to oversee its self-driving policy, with Tesla, a clear leader in the sector not on it. Self-driving vehicles and electric vehicles are not necessarily mutually inclusive as the technology could be applied to all drivetrains. However, the appointment of GM CEO Mary Barra as Co-Chair of the committee could be a clear indication of which tail is wagging the dog. GM recently opposed the new EPA emission requirements of 54.5 mpg by 2025. Follow the link for the complete list. KPMG’s 2017 Global Automotive Executive Survey leaves us dumbfounded as an overwhelming number of executives still see Battery Electric Vehicles fail and Fuel Cells to be the real deal. The report, however, identifies Battery Electric Vehicles as the key trend up to 2025 as regulatory pressure pushes awareness of the technology. A telling figure though is that amongst downstream players, such as auto dealers, Battery Electric Vehicles are second only to connectivity and digitalization, again proving the reluctance of dealers to push the technology. ChargePoint, a manufacturer of charging stations and adapters unveiled a water-cooled 400kW DC fast charger, the Expres Plus at the 2017 CES in Las Vegas this week. The Express Plus would be available from mid-2017 in both CCS and CHAdeMO standards and would add 100 miles range in just 15 minutes. To put the significance in perspective automakers qualify ultra-fast chargers from 350kW and above, with Tesla‘s industry-leading supercharger being 145kW. Miners are scrambling for “modern” resources such as lithium, nickel, and cobalt used in the electric vehicle manufacturing process. A reporter, Marcus Le Roux explored the various metals and their potential supply constraints and sources in the Australian. Most interestingly is the place which copper plays within the electric vehicle industry and the expectation that current lithium demand would rise from 16,500 to between 120,000 to 250,000 tons by 2025 to feed the 14 battery mega factories that are developed, mainly in China. President-elect Donald Trump this week appointed Scott Pruitt as the Environmental Protection Agency’s (EPA) new head. The appointment of a self-proclaimed enemy of the agency as its head is sparking fear in environmental circles, including the electric vehicle sector. Traditional automakers have already called for changes in the agency’s emissions targets. It seems however that the agency is fighting back with it fast-tracking the filing of its midterm review before President Trump’s inauguration. The new standard calls for a fuel consumption limit of 54.5 MPG by 2025. Reuters reported on an announcement by the White House that it will establish 48 EV Charging corridors, comprising 25,000 miles across 35 States with the support of Utilities and vehicle manufacturers. The initiative will allow for charging stations every 50 miles. The press release goes further by identifying specific State programs to support the adoption of electric vehicles, including California’s commitment to have 5% of all public parking to include charging stations. Car manufacturers supporting the initiative includes BMW, Nissan, and GM. The South China Morning Post reported on an unexpected side effect to one of the key advantages of electric vehicles; it’s silent operating capability. According to the publication, the Hong Kong Blind Union joined the World Blind Union’s call against silent electric vehicles, citing safety concerns. The Union calls for regulation of electric vehicles sound levels to make it more audible for the visually impaired, and other road users in general. Although legislation to this effect is already considered in the US, Japan, and the UK wattEV2Buy wonders if other solutions utilizing sensors to trigger audible alerts should not rather be employed than to introduce solutions that will counter the positive effect of electric vehicles on noise pollution. Reuters reported that the Germany utility RWE this week spun out its renewable energy business into a separate vehicle, Innogy via a listing on the Deutsche Bourse. The new company aims to focus on the US charging station network. The CEO announced that the agreement was reached with the Californian regulators to accept German car charging standards.